Experienced with automatic gate repair. The best service! Not everyone knows about gate repairs. We have answers for questions on gate repairs. Gate openers come with safety features. Experts from Gate Repair Oceanside recommend a gate opener that has automatic force sensing and automatic safety features. The safety feature makes it possible for the user to stop and lock the gate at any position to enable bicycle or pedestrian to have access. If there is obstruction while the gate is closing it will stop and automatically reverse. There are times when gates become defective because of minor concerns. 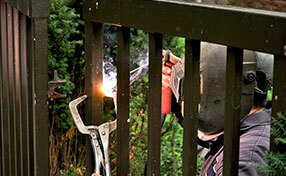 According to specialists from Gate Repair Oceanside, these minor concerns are easy to address. 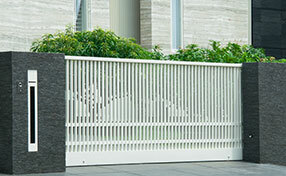 One effective way to regain the efficiency of the gate is to remove, fix or replace damaged parts. Like in the case of worn out hinges, you can scrape the rust and oil it or replace it with new ones. How do I clean the gate door opener? Our specialists do not recommend cleaning the interior of the gate door opener by yourself since it has sophisticated mechanisms inside that should only be handled by mechanics and repairmen. However, cleaning the exterior should be an easy task and can be cleaned with your regular general housecleaning soap and water. How do intercoms at gates work? 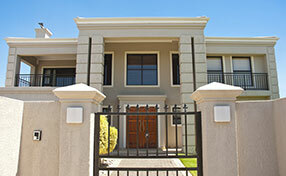 Intercoms are a great way to monitor the movement of people around gates. Our experts recommend installing them especially in commercial establishments or even homes. On pressing a button, the visitor gains access following your approval through the intercom. For which gates are underground hydraulic operators used? Generally, underground swing gate operators are intended for gates that are 10 feet long, usually for bi-parting swing gates. They need to have positive stops that are added separately. Our gate professionals in Oceanside suggest that these operators are usually used in high end properties that have heavy wrought iron or steel gates. Why won't my gate close properly? If your gate doesn't close properly, there could either be a problem with the hinges or it could have physical obstructions. If your gate creaks or shrieks when opening or closing, it might be time for some hinge maintenance. Debris in the pathway might also contribute to non-closing gates. If all else fails, don’t hesitate to contact your local gate specialist.